A novel from the author of White Teeth and NW about the love of dance that draws two mixed race girls from a poor area of London to one another, and the different paths their lives take in the years that follow. ...a story at once intimate and global, as much about childhood friendship as international aid, as fascinated by the fate of an unemployed single mother as it is by the omnipotence of a world-class singer ... The grade school scenes are small masterworks of storytelling in which the child’s innocence is delicately threaded with the adult’s irony. If the style of Swing Time is less exuberant than her previous work, Smith’s attention to the grace notes of friendship is as precise as ever ... Swing Time may be the most perceptive one I’ve read about the distortion field created by fame and wealth ... Swing Time uses its extraordinary breadth and its syncopated structure to turn the issues of race and class in every direction. 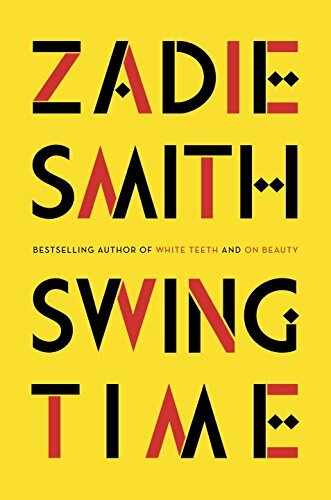 Swing Time is Zadie Smith’s fifth novel and for my money her finest ... For its plot alone, Swing Time makes for truly marvellous reading ... Cinematic as it is, the novel does what only literature can and what only great literature will: forces us to assess the very vocabulary with which we speak of human experience ... Swing Time has brilliant things to say about race, class, and gender, but its most poignant comment is perhaps this. Given who we are, who we are told that we are not, and who we imagine we might become, how do we find our way home? 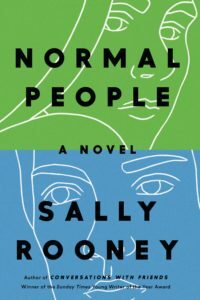 ...the narrative cuts back and forth in time, alternating between persuasive chapters about the unnamed narrator’s memories of her childhood and adolescence, and dull, strangely generic chapters about her grown-up experiences ... The novel’s flashback chapters, set in London, possess the tactile energy and emotional detail of White Teeth. Ms. Smith conjures the electric pulse of the 1980s and 1990s ... Aimee is a complete celebrity stereotype...and the chapters that chronicle Aimee’s much publicized efforts to build a school in an unnamed African country are beyond tedious ... [a] clumsy novel — a novel that showcases its author’s formidable talents in only half its pages, while bogging down the rest of the time in formulaic and predictable storytelling. What did you think of Swing Time?